This summer, the Provost office made several new hires - adding faculty and staff to their roster, including a new President, Assistant Provost and several professors of varying degrees. While most King's students have heard of President Dinesh D'Souza and Provost Marvin Olasky. Fewer have heard of Dr. Calvin White. Dr. White, who has a Ph.D. in systematic musicology, is a relatively new addition to the school. He started in April of this year. 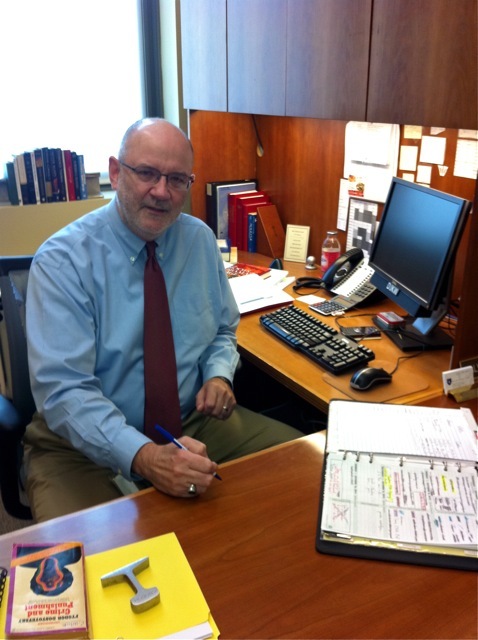 Dr. White's responsibilities include observing classes and assisting with faculty evaluation. He also assists in hiring decisions, including several from this past summer. Two professors may seem like small growth, but recent additions make the English department the fastest growing at King's. Meet Alissa Wilkinson, who earned her undergraduate degree in Information Technology and Computer Science from Rensselaer Polytechnic Institute, and earned her Master's degree in Humanities and Social Thought at New York University. "I've worn a lot of hats," she said, among them: a Wall Street business analyst, Founder and Editor of the International Art Movement's "The Curator," and editor of Christian magazine "The Comment," - a position she still holds. Wilkinson has been published in Christianity Today, Paste, Relevant, Comment, Prism, and WORLD magazine. She lives in Brooklyn with her husband and enjoys film -- Krysztof Kiewlowski and David Fincher -- and food. "At the moment, I'm a little obsessed with this roasted tomato soup I made and froze last month while the tomato crop was bounteous," she admitted. Professor Kenan Minkoff, the second addition to the English department, is also the advisor to The King's College Theater Department. Minkoff comes from a background in professional acting, talent management and play writing: several of his plays have been produced in New York. "I am committed to teaching students about the practical reality of creating entertainment, [because] criticism does not create art," said Minkoff. King's has been criticized for its lack of math and science classes - essential elements of a liberal arts education. The addition of a Pre-Calculus class is a small but certain step in this direction. "Pre-Calculus is now required for all freshmen because it helps meet an accreditation requirement: that our students be proficient in quantitative reasoning," Dr. White said, explaining the change. Previously a Research Director for The Discovery Institute's Center for Science and Culture, Dr. Bruce Gordon came to King's from Seattle, with teaching experience at the University of Notre Dame, Northwestern University, and Baylor University. Dr. Gordon is no stereotypical math professor. He earned his undergraduate degree in piano performance. "Piano is a cathartic outlet for me," he explained. "I came to King's because I wanted to get back into teaching, and because I strongly believe in the King's mission statement," Gordon said. These faculty additions may indicate steady growth for King's, possibly calling for even more faculty as the freshmen classes continue to expand. "Growth does affect hiring; we added six new full-time professors for 2010-11 and anticipate adding several more for 2011-12," said Dr. White.